[Update] PSN and all its services are up and running again. Most service for the PSN are down right now, and it’s not part of any sort of scheduled maintenance. 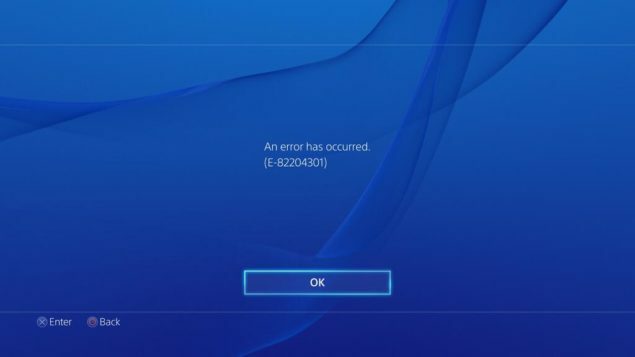 The PSN is down at the moment, many users are experiencing difficulty connecting to most services. The outage is affecting both Europe and North American with all services on the PSN except PlayStation Vue and PlayStation Now unavailable. This PSN outage comes after a similar outage due to “external factors” that happened on June 26th. The status page lists the problem as having started at around 11:20AM PDT. Affected Services: You may be experiencing issues related to launching games, applications, and/or social features such as trophies, messaging, or friends list. We appreciate your patience while we address this. So if you thought you were going to begin your holiday weekend (in the US, or extended holiday weekend in Canada), then you might not be able to if the PS3 or PS4 are in your stable. Unfortunately there are no details regarding why it’s offline and of course Twitter is ablaze with anger regarding the PSN outage. Some users are even reporting that they can’t even sign-in locally or start up apps for offline usage. Single player games are also affected. It seems that even that functionality requires an Internet connection. The PSN seems to be down quite often lately, with both unscheduled outages and scheduled maintenance. Does anyone have any issues using their PS Vita online? It appears to only affect the PS3 and PS4, so let us know if you have one if there are any issues. Hopefully whatever the cause is, is resolved soon.